Today we move on to Diagonal and Bias cuts, taken from our free Knife Skills eBook ... Happy Monday! 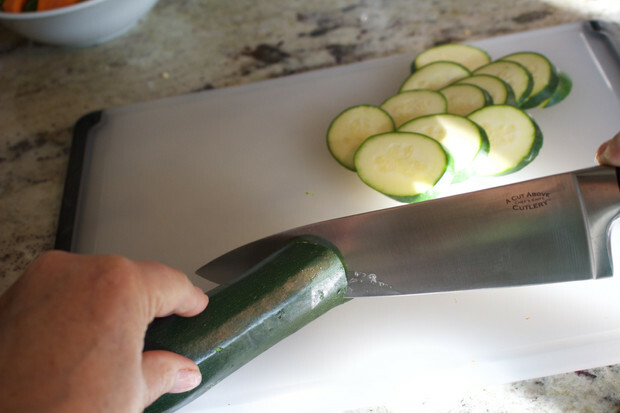 This cut is often used to prepare vegetables for stir-fry and other Asian-style dishes because it exposes a greater surface area and shortens cooking time. Place the peeled or trimmed vegetable on the work surface. 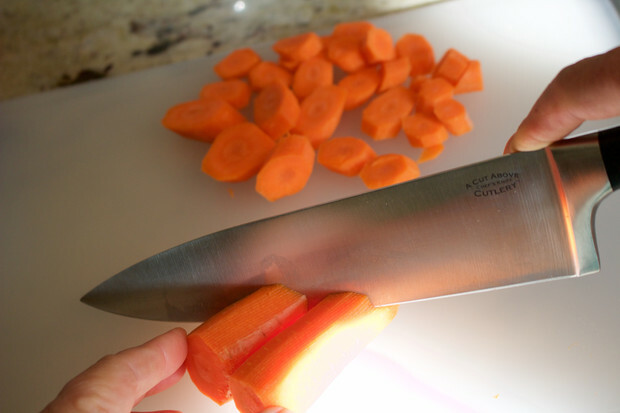 Hold the blade so that it is cutting through the food on an angle; the wider the angle, the more elongated the cut surface will be. Continue making parallel cuts, adjusting the angle of the blade so that all the pieces are approximately the same size.